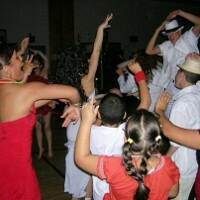 Get your party hopping when you hire New York DJs to do the music. To find great DJs who will play the music you want and get your guests up an dancing use this definitive guide to DJs in New York. 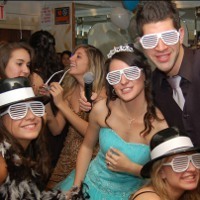 Find DJs and other entertainment services in NY who specialize in parties for teens. 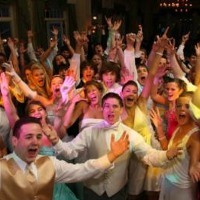 Music for Every Event from Bar Mitzvahs to Weddings! This DJ company in New York offers several DJs with a lot of experience in the entertainment industry. Whether you are looking for a quiet ambiance in the background at an engagement party, want a hopping dance party at your sweet sixteen or would like some of both, After Hours can accommodate. These NY DJs can also provide MCs, dance motivators, celebrity impersonators and musicians. Ask about their bi-lingual DJs and MCs for your party en Español! Party DJs, Club DJs and Karaoke DJs! This premier NY disc jockey company has been offering music and MC services for a wide range of events for over twenty years. From fund raisers and corporate events, to anniversaries and engagement parties - whether it's a party with young people, adults or a mix they can find music that will appeal to everyone. These DJs use their experience in the entertainment industry to create a fun and lively ambiance at your event. For something a little different ask about their karaoke DJs who can lead your guests in a fun multimedia experience singing from a selection of thousands of songs. DJs who Will Cater to Your Desires! Specializing in music and DJ entertainment that is "not cheesy," these Hudson Valley DJs will work hard to make sure your guests are truly enjoying the song choices and aren't being made to feel uncomfortable by an extra loud or pushy DJ. They will work with you to ensure your personality and the atmosphere you want to create at your party really come out in the music choices. These pro NY DJs will bring their own equipment and even a backup system so you can be sure nothing will go wrong on the day of your event. If you want conscientious DJs who will work closely with you to create the event you want, be sure to contact The DJ Solution! This DJ and entertainment company can provide not just the music for your party but also photographers, videographers, photo booths, magicians, karaoke and much more! 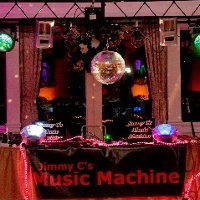 When you hire DJs from Jimmy C's you will get professionals who carry a huge range of over 100,000 songs so that they can accommodate your playlist as well as any requests your guests might make. Whether you want a DJ personality who will get everyone on the dance floor, or you prefer a more subdued organic entertainment experience, these DJs can accommodate. No matter the type of event or party you are throwing it is sure to be enhanced and made unforgettable by Partners in Sound DJs. For over 20 years they have been performing and entertaining at everything from class reunions and corporate events to weddings and holiday parties. 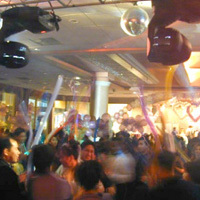 These NY DJs have state-of-the-art sound systems, high quality lighting and video production and skilled DJs and MCs. When you have Partners in Sound do the music at your event, it will be a thing to remember for years to come. 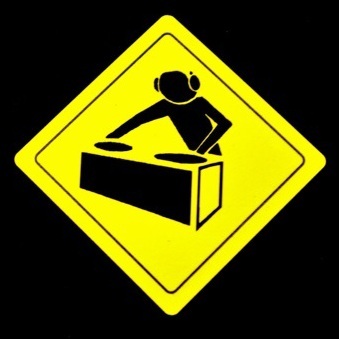 Experienced and Competitive NY DJs! For more than 20 years Sound Explosion has been providing high quality entertainment and music to parties in New York and New Jersey. These DJs can put together a custom package for any event such as mitzvahs, weddings, private and corporate events, they will work with you to create exactly the kind of DJ package you are looking for. With top of the line sound equipment, special lighting, plasma screens, party motivators and more available for your party, it's sure to be a big hit with all the guests. Committed to High Quality Reliable Service! Providing entertainment and dance music for sweet sixteens, corporate events, block parties, charity events and a whole range of other events and parties, this professional DJ company in NY is top when it comes to catering to your requests. Priding themselves on unmatched customer service, these DJs will work with you or your event coordinators to create a custom music experience. State of the art equipment, professional dress and attitude and a commitment to prompt and reliable service are what set this DJ company apart from the rest. Karaoke machines and custom lighting are also available! Toro Party DJs are sure to bring an element of fun and entertainment to your event when you hire them to MC and DJ your event music. They offer DJ packages for sweet sixteens, weddings, school events, formal events, and other events such as birthday parties and reunions. Lighting packages and upgrades such as photography, photo montages, video games and more are available as well. If you'd just like to rent a sound system, Toro also offers rentals with an onsite sound technician to help run the equipment. Affordable Party DJ in NY! 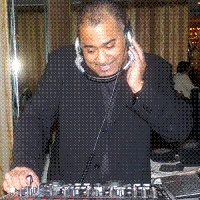 DJ Larry Love will bring your ideas for a great party into reality when you hire him to be your DJ. 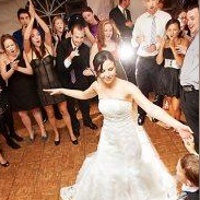 From sweet sixteen parties to weddings, this professional has experience playing for all sorts of events. Is your event formal and you need elegant music? What about a birthday party where you want everyone on the dance floor? DJ Larry Love can accommodate! This DJ promises affordable, friendly and professional service. Party packages are available for all types of events, so contact DJ Larry Love today! Five Star DJ Entertainment are pro entertainers who can DJ any event whether it be a formal event or a casual party - they will use their experience to create just the right atmosphere among your guests. Top of the line sound equipment, professional and experienced DJs and a commitment to excellence make these DJs stand out. A passion for entertaining and an unrivaled musical knowledge mean Five Star DJ Entertainment will work with you to play all the songs you want and none of the songs you don't want to hear. A huge music library ensure they can accommodate any guest requests. Over 10,000 Song Choices in Every Genre! This professional DJ has performed at venues all across New York City and is experienced in a wide range of event types. DJ Andy Look will interact with your guests as much or as little as you want and is happy to work with you or your event planner to ensure the music is exactly as you imagined it would be. 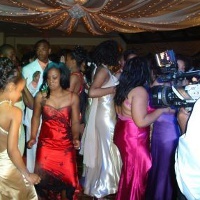 Several DJ packages are available depending on the type and timing of your event. All packages include both a DJ who will take care of equipment set up and music, and an MC who will serve as party host and will make announcements. Tasteful, Elegant and Energetic DJs! This versatile DJ company can create whatever sound you desire for your event or party. Whether you want an upbeat Latin feel with salsas and tangos or a classic rock and roll sound, these pros can accommodate your wishes. 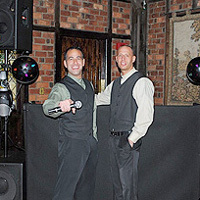 Manhattan City Music DJs use state of the art sound systems and will keep the dance floor packed from start to finish. Manhattan City Music will be as involved as you like with your guests, whether you want an unobtrusive DJ who simply keeps the music coming, or you want a motivational and energetic DJ who will coax even the shyest guest onto the dance floor. This professional DJ company also offers other party services such as photography, videography, live musicians, dancers and more. This professional DJ company makes it their mission to help you have as fun and stress-free an event as possible. DJs @ Work is fully insured, has years of experience in the entertainment field, can come to any location in the tri-state area and will work with you to create exactly the entertainment package you want. These DJs in New York have provided services for events as varied as University events, fund raisers and weddings. 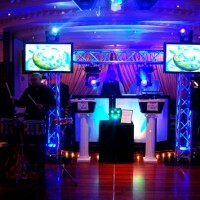 Ask about special lighting options when you book your DJ package with DJs @ Work! This professional and diverse DJ company in New York has a team of highly talented DJs and bilingual MCs for all types of events from weddings and sweet sixteens to corporate events and fund raisers. Several types of DJ packages are available depending on what you would like for your party - special lighting, MCs, party motivators and more can come with these packages. Ask about the additional options for your DJ package and add on a video montage, up lighting, giveaways and more! Event planners and choreographers are available to help you get ready for your wedding, sweet sixteen or other event. For over 25 years these entertainment professionals have been providing top quality service to a variety of events across NY. Their professional and mature attitude will enhance your event and keep the focus on what's most important - you and your guests having a great time. These DJs are fully insured and pledge to be timely and accommodating to your requests. Their library of thousands of songs makes it easy for them to play all your favorites plus the requests of your guests. If you're not sure what kind of playlist to choose, they are happy to make recommendations!